Whisk the spread ingredients together in a small bowl. Set aside. 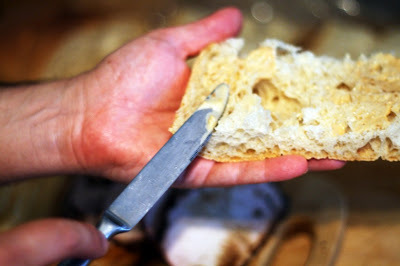 Slice the bread horizontally. Spread both sides with sauce. 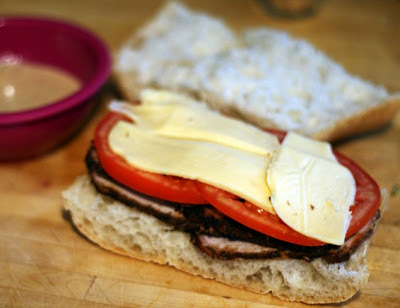 Place the pork on the bread then add a single layer of tomato and top with cheese. Place the top half on top. 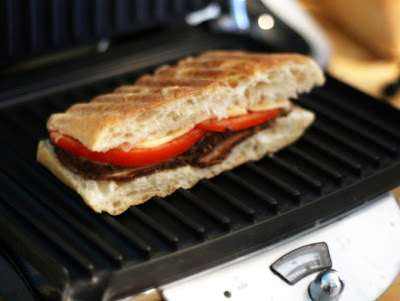 Place on a panini grill heated to medium-high and press until the cheese melts and the bread is crusty. Repeat for each sandwich. Panini week continues with this sesame and ginger kissed panino. It is so delicious! It works well with any leftover pork but was especially tasty when I made it with leftover grilled five spice pork. The sauce, made with a yummy sesame-ginger dressing, ties the whole sandwich together. 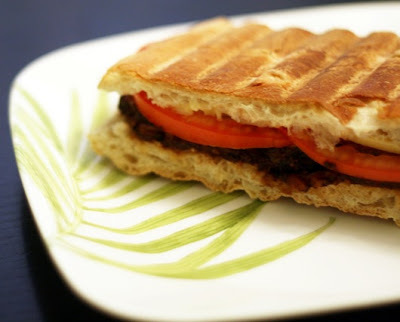 The best part of panini sandwiches is that while they are hearty enough to have for dinner, they come together in just minutes.